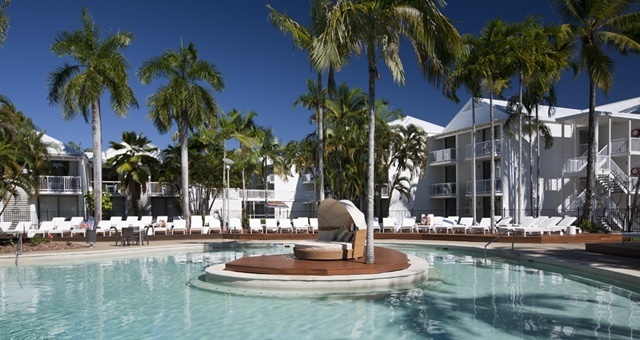 The pool at Oaks Port Douglas is tipped to see plenty of Aussies around it on domestic breaks in 2019. Holiday apartment brand Oaks Hotels & Resorts has released its predictions for the travel patterns of Australians for the year ahead, saying the ‘Staycation’ is expected to be more popular than ever. Driven by the low Australian dollar, making overseas travel more expensive, Oaks Hotels says while capital city stays will remain strong, it’s regional Australia that is in line to benefit as more travellers venture outside the big smoke for their breaks. “For so many Australians, the opportunity to explore their own backyard is becoming increasingly attractive as a travel proposition due to a softer Australian dollar and more competitive airfares being offered to convince Australians to stay and spend closer to home,” said Craig Hooley, Chief Operating Officer of Oaks parent company, Minor Hotels. Aussies will plan their travel further in advance, Oaks said, with its data projections and booking patterns showing lead times are expected to grow from as little as 24 hours previously up to a few weeks prior to check-in. While discounts were available for longer stays, Hooley said short breaks of two or three nights were expected to hold strong as the average length of stay. Destinations expected to perform well in 2019, according to Oaks, were the perennial favourites of the Tweed Coast, Port Stephens, Hunter Valley, with some surprise inclusions in the list being Broome and the seaside SA town of Glenelg. Hooley said the company expected its best performing demographics to be families and corporate ‘bleisure’ clients, a niche market known as the “road-tripping tribes” – also known as nomadic families living their lives on the road – was making its mark on the travel landscape and frequently opting for Oaks Hotels around Australia as their short-term base.